In a one-off special event, The Age of Stupid is coming to Birmingham! This phenomenal film is set 50 years in the future in a world ravaged by climate change. 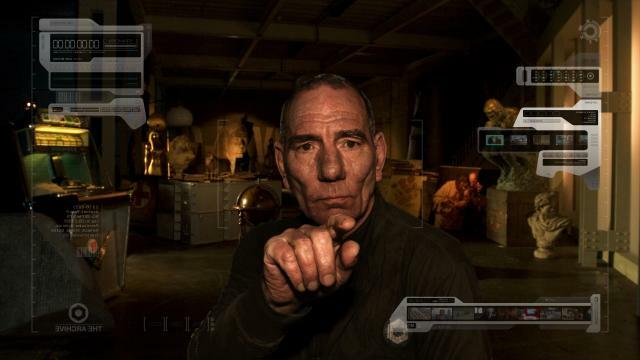 Pete Postlethwaite plays a man looking back at archive footage from 2007 asking the question "why didn't we save ourselves when we had the chance?" The Age of Stupid has received rave reviews and Mark Lynas has described it as "the most powerful piece of cultural discourse on climate change ever produced." On 15th March the film is having its "People's Premiere" at 70 cinemas accross the UK and Birmingham's Vue @ Star City is one of them. As well as a screening of the film there'll be guest speakers, live link-ups to the solar-powered premiere in Leicester Square and more. This may be your only chance to see it at the cinema, so please book your tickets now.